Day 56 – My Needy Kitty Two Socks! This is Two Socks…my very needy kitty. 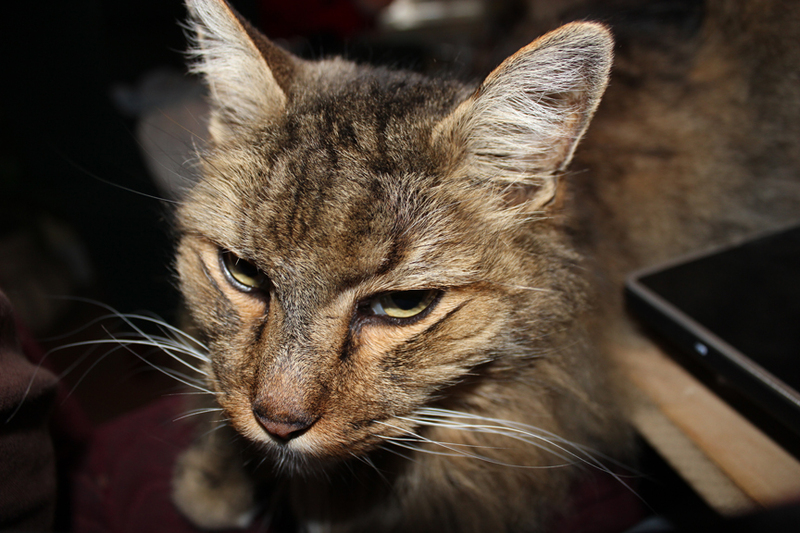 This is him….trying to be right in the middle of my lap while I’m trying to use my laptop computer in my recliner. He jumps up….I push him down…and we go through this ritual EVERY day….several times. I just don’t “get” why he doesn’t realize that he can’t be in my lap when I have the laptop sitting across the arms of the recliner. Oh…on another note…Tony and I took the recycling to the recycle center today….we ususally go about 4 times a year. We collect soda/juice/water bottles….aluminum cans, and glass. Today I was told by the guy at the center that they have coupons in the Monday papers of the Fresno Bee…or you can print them from their website. The coupons give you more $ per pound. What we took in today would have been $44.46 before the guy applied the coupon discount(he gave me the coupon price) and it turned into $52.17 after the coupon price. That’s a tank of gas for our trip this weekend! This entry was posted on Friday, February 25th, 2011 at 12:59 pm and is filed under Uncategorized. You can follow any responses to this entry through the RSS 2.0 feed. You can leave a response, or trackback from your own site.